Examples of careers in commercial and industrial construction in which veterans excel include roles as Project Engineers, Project Managers, Estimators, Superintendents / Assistant Superintendents, and Leadership Development Programs. Veterans possess technical degrees, project management skills, and leadership experiences that are an excellent fit for construction. And while they may not have worked in construction and/or haven’t considered a career in the industry, their analytical abilities, thoroughness, excellent communication skills, and an understanding of how to drive timelines, resources, and manpower prepared them more than many civilians. Manufacturing is another great option for veterans due to their understanding of the relationship between quality, quantity, maintenance, safety, and the people they supervise. Veterans shouldn’t discount their depth of leadership, ethics, and a proven record of success that is crucial on the manufacturing floor. The tremendous training and real world experience on troubleshooting electrical, mechanical or electronic systems, coupled with a history of maintaining and upgrading technology and machinery, also make veterans great. Veterans are leaving an indelible mark in this industry through their technological talent, experience, and ability to affect change. Not to mention their logistical experience moving assets through air, land, and sea daily. 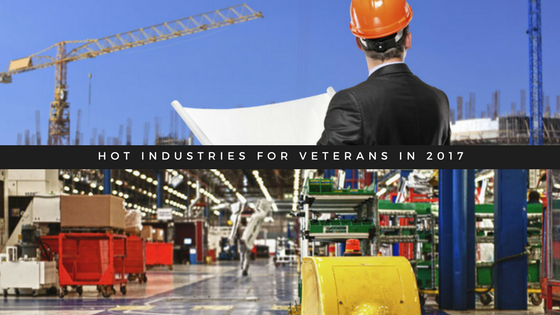 The other five industries on that GI Jobs lists also offer a breadth of opportunities for veterans. Any veteran considering transitioning out of the military should not feel pigeon-holed into an industry that directly correlates to their military occupation. It is wise to consider all your options, and these seven industries, as GI Jobs points out, are a great place to start. Click here to begin your career search today!